Hi, All! 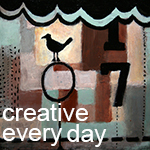 Some folks have been asking about the Creative Every Day Challenge for 2017. 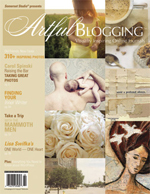 I've been preoccupied with other projects and while I'm still very committed to being creative every day in my life, I was feeling unsure if I wanted to continue running the project through the blog. I've decided on a bit of a compromise for now. 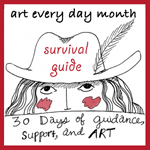 I continue to have the Creative Every Day Facebook group for sharing images and creative endeavors anytime. 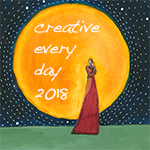 I will be posting there mainly at this time, but I'll put the sign up here for those who want to commit to being creative every day this year (hooray!) I've created the button above for your use. As always, I encourage ALL forms of creativity and wish you an amazingly creative year! Feel free to sign up below!